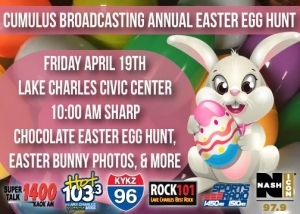 Join us Good Friday April 19th at the Lake Charles Civic Center for the Annual Cumulus Broadcasting Easter Egg Hunt! It starts at 10:00 AM sharp so dont be late! 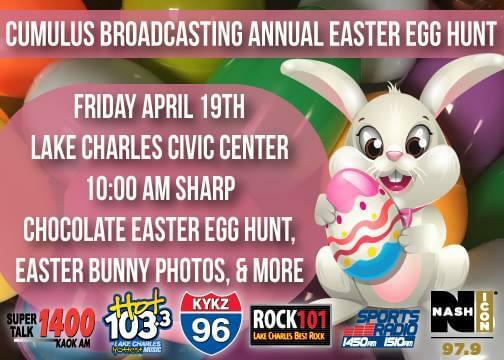 Plus the Easter Bunny will be there from 9:30 AM – 11:00 AM taking FREE pictures! Bring the kids and have some fun hunting over 16,000 delicious Elmer’s Chocolate Eggs!